The Tahoe Rim Trail is a 170 mile scenic backcountry non-motorized trail system looping along the ridgeline surrounding Lake Tahoe. 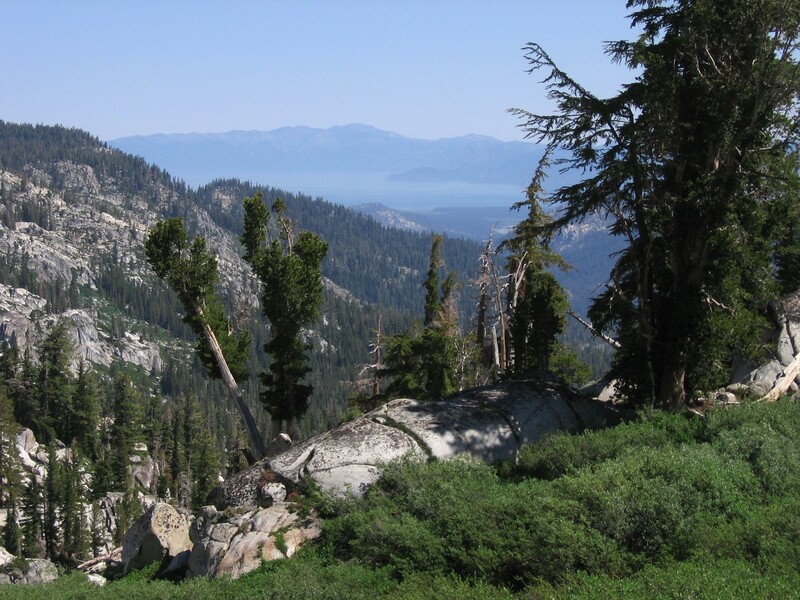 It consists of the Tahoe Rim National Recreation Trail (120 miles) on the East, North and West sides of the lake, and 50 miles of the Pacific Crest National Scenic Trail on the West and South. The Tahoe Rim Trail is a 170 mile scenic backcountry non-motorized trail system looping along the ridgeline surrounding lake Tahoe. It consists of the Tahoe Rim National Recreation Trail on the East, North and West sides of the lake, and 50 miles of the Pacific Crest National Scenic Trail on the West and South. Jenelle Potvin on the Tahoe Rim Trail running home to Truckee. Photo by Lucas Horan. Jenelle Potvin the Tahoe Rim Trail running home to Truckee. Photo by Lucas Horan. View of Lake Tahoe from the Tahoe Rim Trail near Showers Lakes. Photo by wiki.